Seems like the ECFA found a voice. Christianity Today is reporting the Institute for Basic Youth Conflicts has lost membership in the ECFA. I went to one IBYC meeting in Michigan not long after I graduated from college. I ran the other way and never looked back. World’s Bill McCleery has an article today on the Evangelical Council for Financial Accountability’s Gospel for Asia investigation report released to me and the GFA Diaspora last week. As he should be, Carroll is sad and sorry about the donors, but I still wonder when GFA is going to make a sincere effort to deal with the GFA Diaspora and other former staff. As in previous reports, K.P. Yohannan is missing in action. No comment from him. At the end of the article, Carroll promises to do better but he doesn’t explain why we should listen to him now. GFA touted their relationship with ECFA and their financial integrity while they were violating ECFA standards and telling people they were fine. Some others aspects of the World article will be reviewed in a separate post (e.g., Bridge of Hope). 2. Excessive cash balances held in partner field accounts. Allegations were made that GFA had upwards of $150 million in partner field accounts, far more than necessary to provide appropriate operating reserves. During our visit on June 3, ECFA was informed that GFA field partner cash reserves were approximately $7 million. After ECFA requested detailed documentation of cash balances held by foreign field offices, on June 29, we discovered that GFA’s field partners had $259,437,098 on hand at March 31, 2014 and approximately $186 million in June 2015. ECFA staff questioned the appropriateness of the high levels of cash being held in partner field accounts. We were told that GFA partners felt it was important to maintain the high balances in case the Indian government decided to block funds being transferred into the country. The source of the balances was primarily from donor-restricted gifts to GFA, often raised in response to gift solicitations that communicated urgent field needs (see #4 below). ECFA staff expressed concern that the high reserves may not comply with ECFA Standards 4 and 7.1. Subsequent to our conversation on this matter on July 27, GFA provided ECFA with a plan to reduce partner field account reserves to $72 Million, and then amended the plan on August 27 to reduce reserves down to $11 Million. Again, GFA staff disclaimed that GFA exercises any control over field partners (see #10 below). In our meeting on July 1, ECFA staff asked you what the GFA board would think if they knew of the high balances in partner field accounts. You indicated that neither the board nor you were aware of the magnitude of the balances. You responded, “They would be as surprised as I am.” Subsequently, the GFA board was notified, during their July 13 board meeting, of the balances held by field partners. As of the end of the 2014 Indian fiscal year (March 31), GFA had a quarter of a billion dollars parked in Indian banks. Over that year, GFA had added $101 million to the $158 million I discovered. For years, GFA has been telling donors about the urgent needs of the homeless and hungry and they have been sitting on donor funds designated to meet those needs. This is scandalous. If GFA in the United States really didn’t know, they should have fired Believers’ Church and GFA-India as partners. But then on second thought, that might have been awkward since K.P. Yohannan is the CEO of GFA and the Metropolitan and Managing Trustee for Believers’ Church and the related entities. In his reply to the ECFA, Yohannan said plans have been made to deal with massive balances. However, there is reason to require proof. GFA initially told ECFA that the balance was $7 million. GFA told staff the same thing in a May 14 staff meeting. Here is what Yohannan said in reply to ECFA. Yohannan wants the public to believe that Believers’ Church, Gospel for Asia – India, Love India Ministries and Last Hour Ministry are completely independent and unrelated field partners. 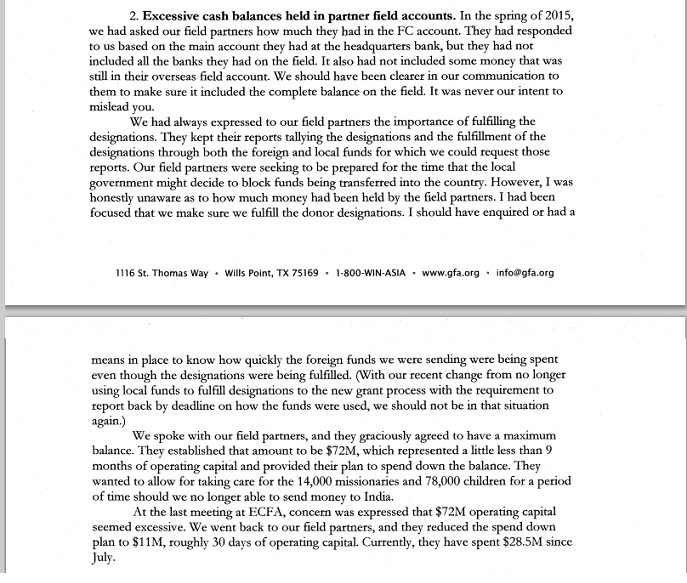 Yohannan told the ECFA he didn’t know how much money was in those accounts. However, somehow, GFA convinced the field partners to completely shift their operating philosophy and commit to use nearly all of those funds, leaving only $11 million in reserve (what about the corpus fund?). 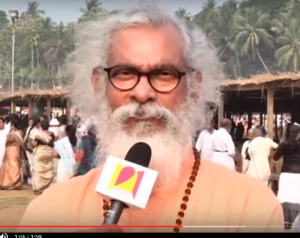 Yohannan wants the public to believe that he exercised no authority in the matter. Here’s the $259 million dollar question: Which K.P. 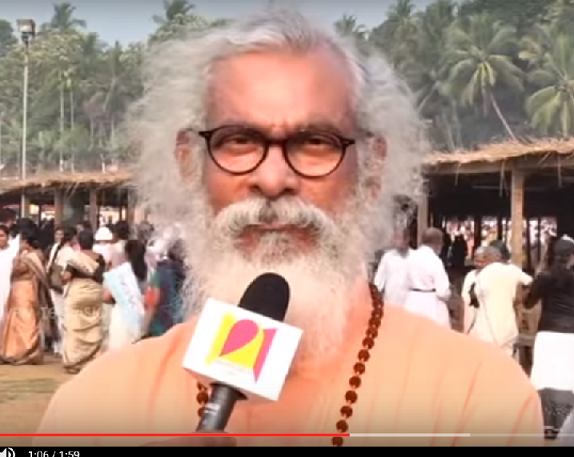 Yohannan do we believe? Do we believe the Metropolitan Bishop who signed his name to the Believers’ Church Constitution, or the GFA CEO who told ECFA he didn’t know how much money his Indian organizations had squirreled away? According to the Believers’ Church Constitution, Yohannan is the ultimate and final authority in all matters relating to Believers’ Church and their trusts. Assets cannot be moved without his approval. This is a serious matter. For years, donors thought their funds were going to specific needs in India. Now we know much of the money wasn’t going to those needs but rather to interest bearing accounts. If I was a donor, I would want my money back. Compounding the problem is the incredible claim from K.P. Yohannan that he didn’t know how those organizations were stewarding the funds. How could he not know? He runs those organizations. According to the church Constitution, he is the final authority. I don’t see how Yohannan can have it both ways. Instead of a vague apology, GFA needs to come up with a response that addresses the discrepancies delineated here. 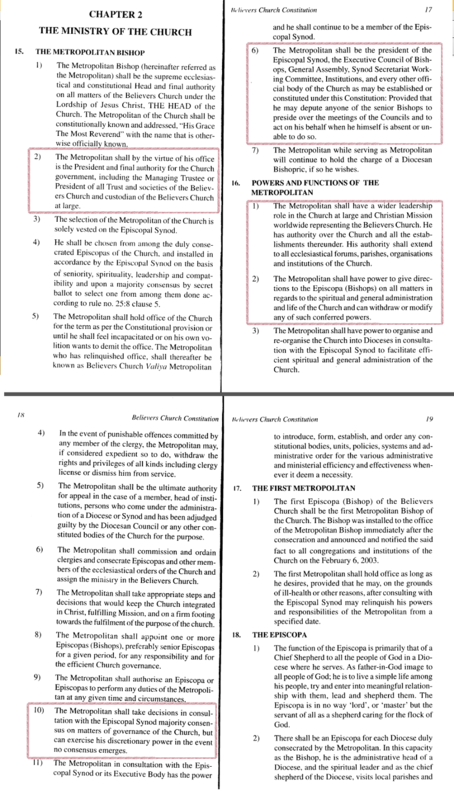 And then review what the Believers’ Church Constitution says about the Metropolitan’s role regarding property and funds. 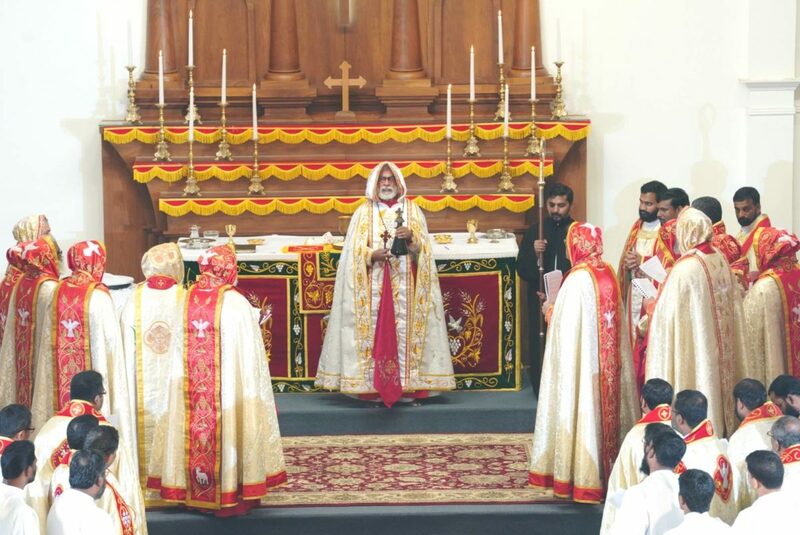 If Yohannan doesn’t know how much money Believers’ Church, Gospel for Asia – India and the other trusts have, then who does? He is the Managing Trustee and the one who nominates the other trustees. So far 64 people have participated in the survey of those affiliated with Calvary Chapel ministries regarding attitudes toward Gospel for Asia. I am leaving the survey open for awhile longer with the hope of gaining more participants. Twenty-four lead pastors have participated. Of the 24, only one respondent said his church supports GFA and has no plans to stop. Eleven said GFA was never supported, nine said support for GFA had ceased due to the recent revelations, three pastors said support stopped before the recent wave of problems surfaced. Those pastors indicated that they perceived problems prior to the recent set of disclosures and new stories. One pastor said support for GFA was being reconsidered and would probably cease. 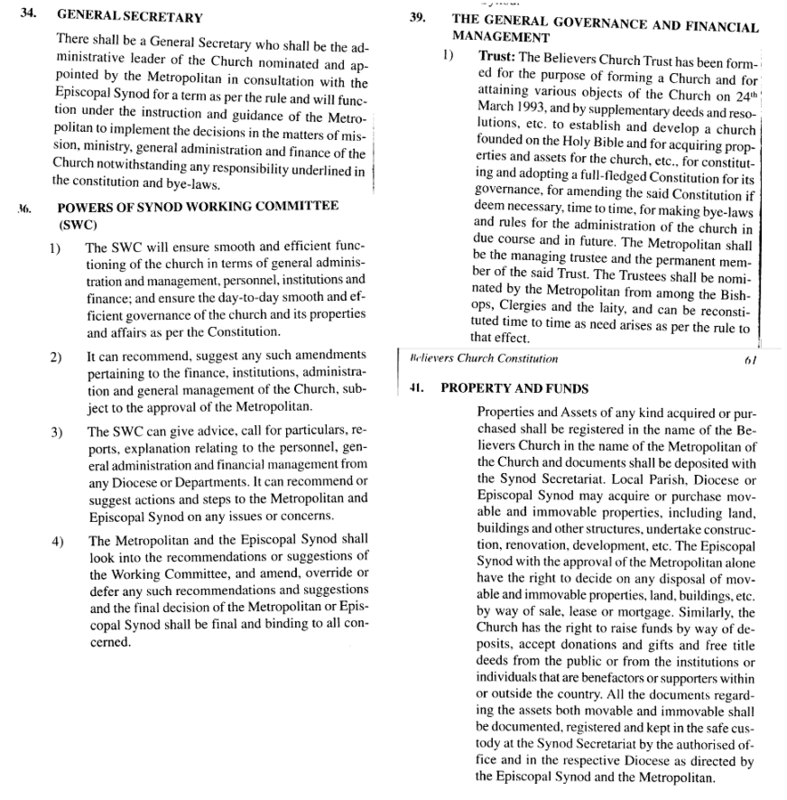 Lack of GFA financial accountability including donated money not being accounted for; GFA not being truthful about how money is spent, who is in charge of money once it reaches India and how much actually goes to the field; GFA having students and others carry cash to India; how GFA staff and ex-staff have been and are being treated; that Believers Church runs GFA in India; that KP Yohannan is in charge of an Episcopal-style denomination that controls GFA India and that they are not up front about that. Six of seven pastors who reached out to GFA for answers to questions said they were not satisfied with the answers received. One said GFA seemed open in response but the conclusions were at odds with the ECFA board’s action to vote GFA out of the organization.